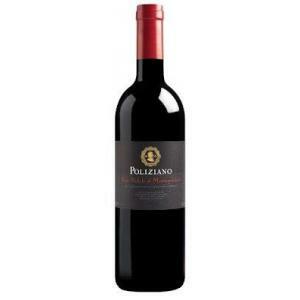 Poliziano produces this Poliziano Vino Nobile di Montepulciano 2014 (£20.06), a red wine from the region of Vino Nobile Di Montepulciano produced with sangiovese, prugnolo gentile, merlot and montepulciano from the 2014 vintage and has an alcoholic content of 13.5%. 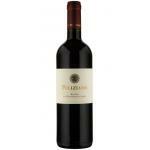 At Uvinum, this red wine scores an average rate of 4 of 5 points and obtained the following scores: robert parker: 91. - View: bright ruby ​​red. - Nose: mulberry and plum notes, nice spicy hints of porcelain snuff. - Mouth: balanced palate, with soft tannins and good freshness. GRAPES: 85% Prugnolo Gentile, Colorino, Canaiolo, Merlot 15%. AGEING: 16 months in oak barrels. PAIRING: dishes with meat sauce, roasts, aged cheeses. A well-structured wine with an intense perfume of juicy, ripe fruit and a rich palate, with just the right amount of tannin. I am convinced that any meat will suit. It was given to us in a wine tasting stand of red. Cherry red colour. This red tastes smoky. Caramel flavour. - View: dark and bright ruby. - Nose: aromas of black cherry, blueberry, purple berries, licorice, graphite and balsamic. A red which I enjoyed with my friends. Red almost purple colour. Strong smell of berries. Let's just say it's a delicious wine. My boyfriend once brought home a bottle. Colour of glacé cherry. The main aromas were coffee and wood. Light and elegant. Cherry colour with brown edges. 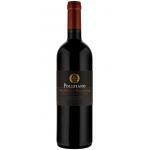 Especially noticeable smoky aromas in this Poliziano.All Poliziano wines are quite balanced. We drank it just like that, without any food pairing. If you want to buy Poliziano Vino Nobile di Montepulciano 2014, at Uvinum you will find the best prices for Vino Nobile Di Montepulciano red wine. Get it at Uvinum, fast and 100% secure. We bring you the largest catalog of more than 59.000 products becoming this way the leading marketplace to sell wine, beer, and spirits in Europe with more than 38.000 clients who trust us.